10 reasons to Eat More Beets and Some of My Favorite Ways to Prepare Them. I recently had the most delicious beet salad at The Collins Quarter while visiting my son in Savannah. When I see beet salad on a menu, i usually order it, not just because it tastes amazing and gives me great energy, but because it has so many healthy benefits for my body. If you cruise past beets in the produce section, back up. They are exceptionally good for you. They are rich in naturally occurring nitrates, chemicals that widen blood vessels, which can lower blood pressure while increasing oxygen-rich blood flow to the brain and muscles. I love them juiced in smoothies, in salads, pickled and roasted. This vibrant vegetable is often included in my detox because they are loaded with fiber which helps with elimination. Still not sure? Here are my top 10 reasons why you should be including beets in your diet weekly. 1. Beets boast an impressive nutritional profile. They are low in calories, yet high in valuable vitamins and minerals. In fact, they contain a bit of almost all the vitamins and minerals that you need. Since they are naturally high in sugar, they do contain the most carbs of any vegetable, but their vitamin and mineral content makes them a valuable part of your diet. Because of this, I usually eat them on higher carb days. Heart disease, including heart attacks, heart failure and stroke, is one of the leading causes of death worldwide, and high blood pressure is one of the leading risk factors for the development of these conditions. Beets can significantly lower blood pressure by up to 4–10 mmHg over a period of only a few hours. Eating beets may enhance athletic performance by improving oxygen use and time to exhaustion. The result is improved energy and endurance. If you participate in competitive sports or HIIT training, try drinking a beet smoothie 2–3 hours prior to training or competing for a boost in endurance. Chronic inflammation is associated with a number of diseases, such as obesity, heart disease, liver disease and cancer. Beets contain pigments called betalains, which possess a number of anti-inflammatory properties. One study in humans with osteoarthritis showed that betalain capsules made with beetroot extract reduced pain and discomfort associated with the condition. I'm a huge believer in letting food be your medicine cabinet, so if you can eat your way to less pain instead of popping meds, go for it! Dietary fiber is an important component of a healthy diet. It has been linked to many health benefits, including improved digestion. One cup of beetroot contains 3.4 grams of fiber, making beets an excellent source of fiber. Fiber bypasses digestion and heads down to the colon, where it either feeds the friendly gut bacteria or adds bulk to stool. This can promote digestive health, keep you regular and prevent digestive conditions like constipation, inflammatory bowel disease and diverticulitis. If you struggle with constipation, eating a high fiber diet will definitely help you become more regular. Mental and cognitive function naturally decline with age. For some, this decline is significant and may result in conditions like dementia. Beets have been shown to particularly improve blood flow to the frontal lobe of the brain, an area associated with higher-level thinking, such as decision making and working memory. Yet another reason why beets should be on your weekly shopping list. Cancer is a serious and potentially fatal disease characterized by the uncontrolled growth of cells. Because of the antioxidant content and anti-inflammatory nature of beets, the colorful root vegetable has led to an interest in its ability to prevent cancer. beets are low in calories and high in water. Increasing your intake of low-calorie high fiber foods like fruits and vegetables have been associated with weight loss. Likewise, despite their low calorie content, beets contain moderate amounts of protein and fiber. These are both important nutrients for achieving and maintaining a healthy weight. The protein and fiber help keep you feeling fuller longer, reduce appetite, and reduce one's overall calorie intake. This last one is not a health benefit, but is equally important, because if you want to take advantage of all it has to offer, you'll want some ways to prepare them. Beets can be juiced, eaten raw in salads, roasted, steamed or pickled. Remove the pit and peel of a ripe avocado. Chop into small pieces and toss with lemon juice. Add to the lettuce. Drain the mandarin oranges and add those. Chop up the whole beets and add to the salad. Toss the salad with the dressing (see instructions below) and then add the toasted pistachios and crumbled feta or goat cheese. Do not toss the salad with the dressing until right ready to enjoy the salad. This salad doesn't store or sit well. Combine all of the ingredients except for the poppyseeds in a small blender or food processor (I used a Twister jar with my Blendtec). Blend and taste. Adjust to personal preference and then stir in the poppyseeds. Toss however much dressing you want with the salad. Leftover dressing will stay good up to a week in an airtight container in the fridge. If you aren't planning on eating this salad all in one sitting, do not toss all the ingredients together or toss with the dressing. If making it ahead of time, keep the lettuce separate, the dressing separate, and all the veggies/toppings separate. Toss all together right before enjoying. The quantities of ingredients are a general guideline. Add more or less of your favorite salad fixings depending on your personal preference. Place all ingredients in blender and pulse to thoroughly mix. If desired, reserve hemp hearts and sprinkle on top for texture. 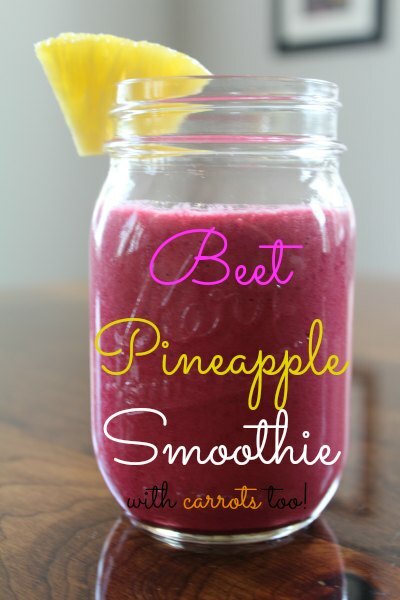 Do you have a favorite beet recipe? Please share below. Here's to helping you love the body you live in!